Act like a lady. Don’t swim in the waterfall. And whatever you do, never slip into the woods for a romantic, moonlit ride. When a princess turns eighteen, she is not supposed to sneak away from her own birthday celebration with the first handsome prince she meets. But Pippa is not just any princess, and there is nothing she enjoys more than a moonlit ride through the woods. Only one thing could ruin a beautiful evening under the stars with Galinor, the dark-haired, blue-eyed prince of Glendon—and that’s her father tracking her down. When King Ewan catches Pippa, he orders her to spend twelve days of confinement in the castle. This is an inconvenience for the princess, considering thirty princes and lords have come from all across the Kingdoms of Elden to fight in a tournament for her hand in marriage. Not willing to stand idly by while her fate is being decided, Pippa enlists the help of her childhood friend Archer, master archer of the kingdom. Together they make a pact to do everything in their power to ensure Galinor’s victory in the tournament. 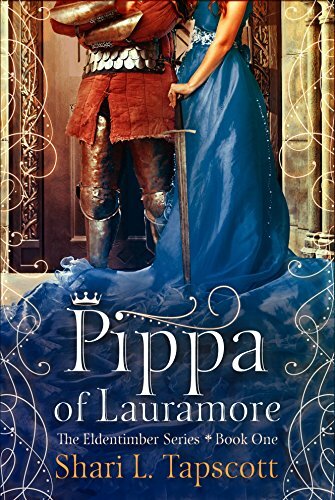 Set in a rich fantasy world, Pippa of Lauramore is a take-your-breath-away fairy tale romance with unforgettable characters, humor, and heart. This is the Kindle version of Pippa of Lauramore (The Eldentimber Series Book 1) that you can also download and read on your computer and mobile phone. Kindle books are DRM protected and therefore, unlike ebooks that are in PDF or ePUB format, you cannot read this ebook without the official Kindle Apps.